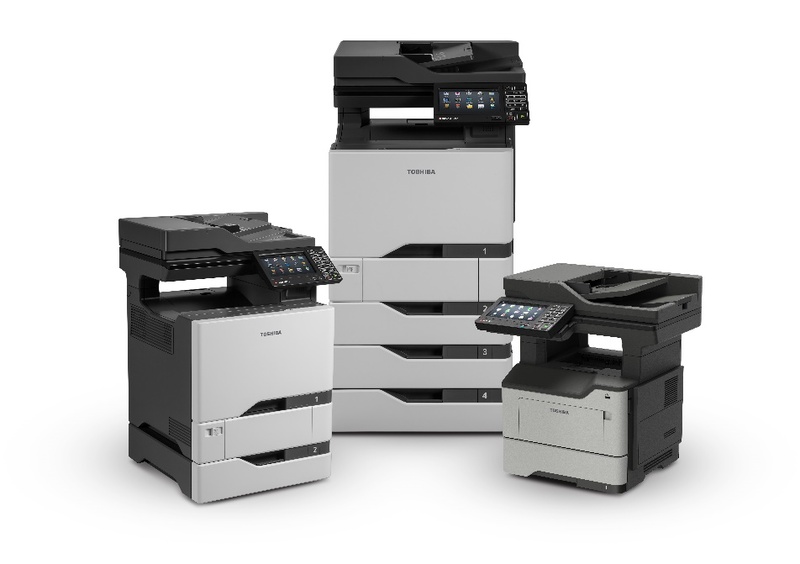 Toshiba Launches 3 Toshiba-Branded A4 MFPs | Industry Analysts, Inc.
LAKE FOREST, Calif. (November 6, 2018) — Toshiba America Business Solutions today expands its industry-recognized e-STUDIO™ line by introducing a trio of feature-rich, desktop multifunction printers (MFPs). Toshiba’s latest A4-formatted e-STUDIO offering – which includes one monochrome and a pair of color models – couple next-generation security features with an array of embedded applications to comprehensively address small to mid-size business document output and workflow needs. Toshiba’s newly-unveiled e-STUDIO products start at $3,575 and are now available for purchase through the company’s authorized dealers. For more information about Toshiba products, or to locate an authorized Toshiba dealer in your area, visit www.business.toshiba.com. Complementing its hardware offering is a full suite of document workflow, capture and security services includingEncompass™, the company’s industry-acclaimed Managed Print Services program. Encompass enables clients to print less and optimize workflow while improving energy efficiency. This entry was posted in Toshiba and tagged a4, copier, copy, e-STUDIO, print, toshiba by andyslawetsky. Bookmark the permalink.